The competition for Blogger's wardrobe is still on, so don't forget to vote for me HERE! I love those pics! The pics are so good but most of it because Ashley (http://pursenboots.blogspot.com/) is the stylist! I love all the outfit, all the clothes are beautiful, it's amazing the way that you combine all the clothes and seems amazing! Oh yesss. These pictures are very inspiring. 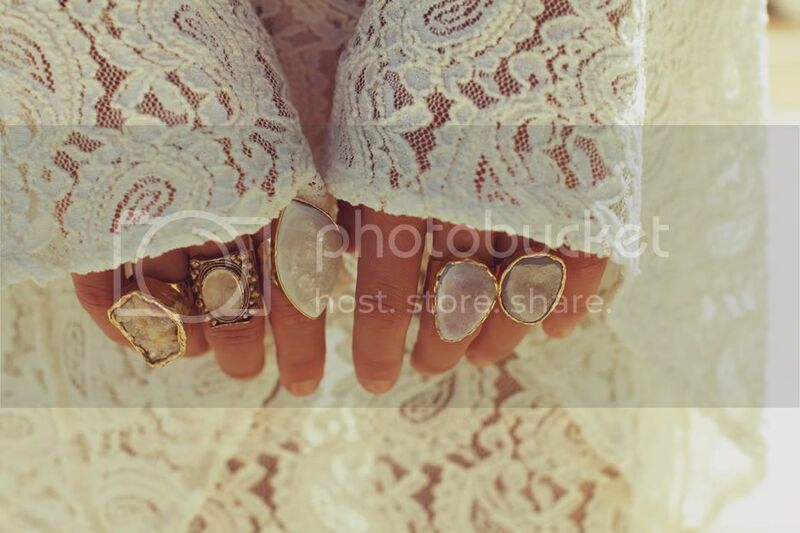 love love love the rings! so perfectly boho chic...I love all the lace and fringe and loose layers, so lovely. omg, pic r amazing.love outfit!! !photo shoot ideeal for Vogue!!!! I love the accessories, the rings are amazing. I love the styling done in these pictures. Thanks for sharing, and I wish you the best of luck with the blogger wardrobe contest! I like this lookbook. Very nice styling work and beautiful colors!Sunny pictures! OMG...LOVE it! ta oranžna barva me je čist prevzela to jesen!